Luxmètre Numérique with 5 ½ chiffres 12 mm LCD display and backlight, 270° swivel mounted light sensor for optimal light measurements in not easy to reach sites. The unit is provided with automatic zero-point adjustment and Silicone-Photodiode-Sensor. 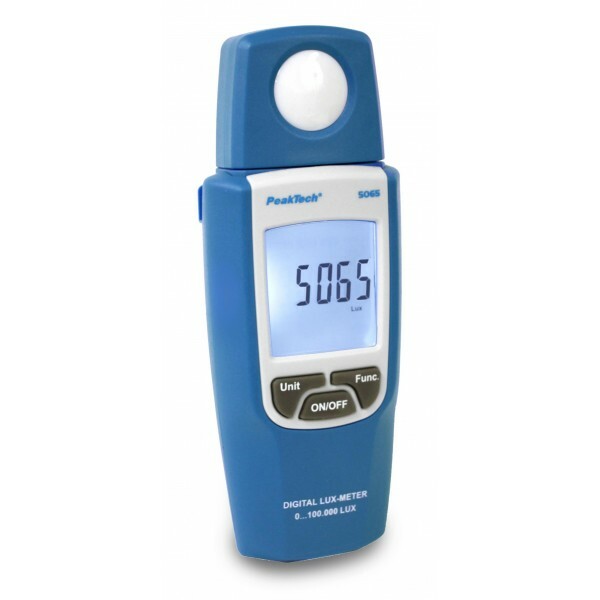 Digital Luxmeter with 5 ½ digits 12 mm LCD display and backlight, 270° swivel mounted light sensor for optimal light measurements in not easy to reach sites.